We've got some secrets to tell you this week... And I can guarantee you'll love them. From hidden spaces to secret shops we've got the scoop on all of the best things coming to the Gold Coast - And we can't wait to spill the beans on everything! Who doesn't love a new space to sit back, relax and drink coffee? Well we've got some good news for you - Another incredible cafe has just opened up in Burleigh Heads! Opened by the Jacqui Scorgie - the lady behind the old Department of Coffee - Industrial Cafe is Burleigh's newest hidden hot spot, located behind Bermuda Street just five minutes drive from Burleigh Beach. Sporting a fitting industrial feel, neon signs and an incredible curved concrete roof, their interior is as incredible as their food, serving up fresh muffins, granola, Vegan balls, banana bread and some totally mouth-watering croissants and toasties, with plenty of unique flavours perfect for that pre-beach breakfast. If you can't function in the morning without your coffee Industrial Cafe has you covered there as well, using beans straight from Melbourne favourite Proud Mary to serve up the perfect brew every. Single. Time. Seriously. Also, did we mention they're even using environmentally-friendly takeaway cups? #WINNING! Ok, we have some news - And it's big. Do you remember the luxurious Mercado store that opened up in Brisbane in November last year? Well, their Brisbane store was such a huge success that they're bringing Mercado down to the Gold Coast as well! 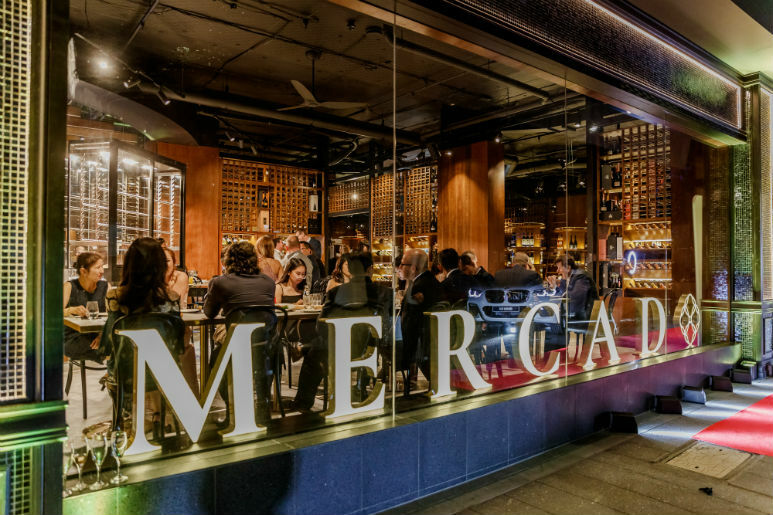 Set to open their flagship space in early to mid-2020, Mercado's newest luxury shopping space will be the biggest and best in Australia - rivaling even their Brisbane store - Taking up a whopping 2100 square metres and filling it with all of the food that our hearts could desire! A totally unique experience, Mercado aims to redefine what it means to go food shopping, taking your average marketplace and totally transforming it into a vibrant, gourmet space full of world-class produce including fresh fruit and veg, pastries, chocolates, meats, live seafood and everyone's favourite premium liquor (yes please!). Not just limiting themselves to a marketplace space, Mercado's crowning jewel will be their restaurant, allowing customers to enjoy meals created by an executive chef using all of the fabulous produce that Mercado has to offer. Opening in the next twelve to eighteen months, Mercado is set to turn the Coast's dining scene on its head - And we absolutely cannot wait! If you're a fan of beer and a good feed, we've found the perfect place for you. If you've been down to Surfers Paradise, chances are you would have seen the old Irish Pub Fiddlers Green down the far end of Cavill Ave - Well, that place is no more. Closed in August last year, Fiddlers Green has undergone a face-lift, a name change and a huge re-vamp, emerging from the construction as the incredible new Finn McCools! Named after a mythical giant, Finn McCools is the latest bar and restaurant to open in Surfers, boasting multiple floors and a traditionally Irish feel that you'll totally fall in love with. Open basically 24/7 and serving up an Irish all-day breakfast alongside lunch, dinner, snacks and drinks, you'll never be hungry or thirsty here, with plenty of traditional Irish meals and all of our favourite Irish drinks available to order. Grab an all-day Irish Breakfast of eggs, bacon, sausage, baked beans and toast or indulge in Pizza, Schnitzel, Bangers and Mash or a good old Chicken Schnitty, then wash it all down with a pint of Guinness! If you feel like a bit of dancing, Finn McCools will also have live Irish musicians playing in their renovated bar area, so you can dance the night away to all of your favourite jigs... We'll cheers to that!